This webcast will be the initial overview of the IRS requirements Customized for Employers who report as Applicable Large Employers (ALE). It is important that employers engage in the initial phases so appropriate planning and staffing can be reviewed for the deadline date. Employers and Retirees will be educated on the 2019 Pre 65 Retiree Benefits and how to take advantage of a few incredible offerings. This webcast will be the initial overview of the IRS requirements Customized for Employers who report as Non Applicable Large Employers (Non - ALE). It is important that employers engage in the initial phases so appropriate planning and staffing can be reviewed for the deadline date. Employers and Retirees will be educated on the 2019 Post 65 Retiree Benefits and how to take advantage of a few incredible offerings. Understanding IEBP’s eligibility guidelines for the benefit plan may help you with efficiently responding to your employees’ difficult life event changes. IEBP has resources available for you when you need it the most. Join us for a brief overview of IEBP’s eligibility rules! Managing the Prescription Dollar continues to be a challenge for healthcare plan. What can we do to manage the cost and maintain employee access to appropriate medications with ongoing treatment compliance? Prescription Plans can be customized to provide multiple copay tiers: preferred network, broad network, retail access, mail order access, value tiered prescriptions, generic, brand, formulary, cost share, biotech/specialtyrx and biosimilar tiers. 6. Implementing the MyIEBP Connect for Employers and Membership. IEBP is transforming the healthcare services to accommodate the multi-generational/multi-digital political subdivision membership. New Ideas in Texas working with the PreTax Healthcare Dollar. What is a Defined Contribution Plan? How can a Section 125, Health Reimbursement Account, Retiree Reimbursement Account and a Qualified Health Savings Account help manage the Cost of Healthcare. The presentation will provide you with the nuts and bolts of managing the healthcare dollar and taking advantage of the employer and employee pretax benefits. Reserve your seat TODAY! There is limited seating! In recent years, the need to curtail healthcare spending has given rise to an increasingly popular method of providing benefit to Political Subdivision. Benefit Plan flexibility a is affiliated with claim cost risks that impact the premium/contribution cost of healthcare and the out of pocket covered individual risk that could create problems with denial of care or treatment compliance. Historically, Political Subdivisions have provided good benefit programs to their employee population and have invested in their employee/family’s health. Due to the increasing cost of healthcare, political subdivision employers struggle with how they can continue employee investment within the employer’s budget limitations. This webcast will provide you with employer benefit plan options that will provide management of the contribution/premium dollar while promoting the employee engagement in health and minimizing their out of pocket costs. Action: Reserve your seat today! Discussion on how you can empower yourself to change your behaviors and learn to motivate yourself when it comes to your nutritional health. Additional Value added benefits include Life Services Toolkit. Resources and Tools to Help you and your beneficiary meet life’s challenges: Estate Planning Assistance: Online tools, found in the Legal Forms section, walk through to prepare a will and create other documents, such as living wills, powers of attorney and health care agenda forms, Financial Planning: Consult online services to help you manage debt, calculate mortgage and loan payments, and take care of other financial matters with confidence. Health and Wellness: Timely articles about nutrition, stress management and wellness help employees and their families lead healthy lives, Identify Theft Prevention: Check the website for ways to thwart identity thieves and resolve issues if identify theft occur, Funeral Arrangements: Use the website to calculate funeral costs, find funeral-related services and make decisions about funeral arrangements in advance Grief Support: Clinicians with master’s degrees are on call to provide confidential grief session by phone or in person. Beneficiaries are eligible for up to six face-to-face session and unlimited phone contact, Legal Services: Beneficiaries can obtain legal assistance from experience attorneys. They can: Schedule an initial 30 minute office and a telephone consultation with a network attorney. Beneficiaries who wish to retain a participating attorney after the initial consultation receive a 25% rate reduction from the attorney’s normal hourly or fixed fee rates, Obtain an estate planning package that consists of a simple will, a living will, a health care agent form and durable power of attorney, Financial Assistance: Beneficiaries have unlimited phone access to financial counselors who can help with issues such as budgeting strategies and credit and debt management, including hour-long sessions on topics requiring more in-depth discussion, Support Services: During an emotional time, beneficiaries can receive help planning a funeral or memorial service. Work-life advisors can guide them to resources to help manage household repairs and chores; find child care and elder care providers; or organize a move or relocation, Online Resources: Beneficiaries can easily access additional services and features on the Life Services Toolkit website for beneficiaries, including online resources to calculate funeral costs, find funeral-related services and make decisions about funeral arrangements. I. Standard Tax unit to see if there is anything else we can do. II. Standard is not able to provide a W2 for these claimants because we do not have a FICA Agreement in place. Due to the laws and being a 3rd party sick pay benefit, the Standard is simply not able to provide the service. III. It is soley the responsibility of the group to create the W2 and remit employer matching FICA. A. If employer has mandatory STD (employer paid), it is 8.5% load to the rate. 6.5% goes to the taxes, 2% is an admin fee. If employer has voluntary STD, there is only the 2% admin fee. Political Subdivision Employees Uniform Group Benefits Act. retirement by providing health benefits to those employees. Access your Personal Health Record and Health Assessment by logging in at www.iebp.org. Marathon Health inspires people to lead healthier lives. In turn, we help employers stabilize healthcare costs at the convenience of an onsite or near site clinic. It’s a simple equation that yields powerful results. Employers will be educated on the capabilities and value of Marathon Health’s total population health services. o	Learn how other public sector customers have measured a return on their investment in their first year with Marathon Health. Traditional on-site clinics have proven cost control for large employers. Medicine At Work’s new approach brings these benefits to 200+ size employers. Attendees will learn how Medicine At Work’s combination of a small on site clinic, advanced video doctor visits, wellbeing programs, and other services can help employees achieve better health and give better cost control. Also, optimal site size and other parameters will be discussed. Due to PEBA membership request, Deer Oaks expanded benefit options to include an 8 session option. In addition, due to increased PEBA census, effective 12.1.17 the Deer Oaks rates will be per the yellow highlights. PEBA and Deer Oaks would like to update the PEBA membership to provide increased education regarding Deer Oaks support in the promotion of living healthy. Action: Balancing healthy living and the multi-tasking environment in which we live sometimes requires subject matter expert support. To give your employees an easy, single sign-on experience managing their Health Savings Account (HSA), IEBP recommends the transfer of the employee HSA Bank accounts to an integrated Debit Card Consumer account with Liberty Health H.S.A. Bank. Please join us for this brief, one hour education webinar to learn more! Ease of access to healthcare benefits services at your fingertips. Let’s learn how to use the tools for a successful healthcare experience. IEBP will provide education to ensure the MyIEBP Connect Experience is easy and accessible to you, your eligible employees, dependents and Retirees. Action: Employer and Retirees will be educated regarding the 2018 open enrollment benefit Period. •	New Telehealth provider- Teladoc / Expanded Services to include behavioral health and dermatological services. •	New Health Savings Account Administrator and integrated platform from Liberty H.S.A. Bank. •	Statewide initiative “Making Texas Healthier”; Local biometric screenings are being scheduled in your area! Please join us for this brief, 45 minute education webinar to learn more! 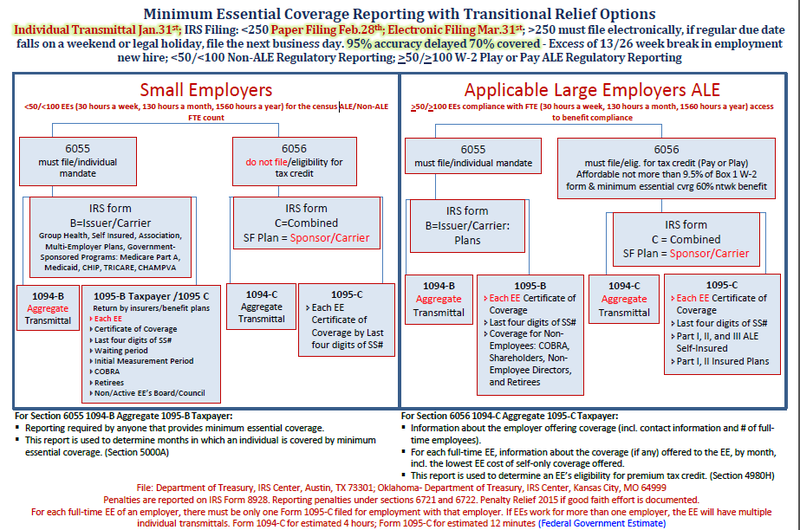 Employer/Employee Regulatory Reporting Healthcare Benefit and Reporting Timeline Compliance. PEBA’s mission is to support the individual members by providing: negotiation services to manage the spiraling cost of healthcare and related benefits, work through the alliance procurement model to purchase healthcare and related benefits a competitive price, and contractual negotiations which will include vendor service accountability requirements. In order to accomplish this mission, PEBA makes a commitment to negotiate on behalf of the membership affordable, high-quality healthcare and related benefits and services. The PEBA Board of Directors met on April 8, 2016 and made the decision to approve the PEBA Administrative Services staff recommendation to execute a three year contract extension with The Standard for Life, Long Term Disability (LTD), Short Term Disability (STD), Voluntary AD&D, and AD&D benefits. This agreement term will be effective for the Texas, Oklahoma, Florida, and Indiana membership. The term of the contract will commence on October 1, 2016 through September 30, 2019. To be eligible for the new PEBA contract, the membership will be required to sign a Letter of Intent. To be eligible for the new PEBA contract, the membership will be required to sign a Letter of Intent. ALE Action Steps in Employer Compliance with Play or Pay Mandate. The Public Employee Benefits Alliance (PEBA) was created by a group of Texas Government leaders working together for over a year to develop strategies to manage the rising costs of healthcare benefits. The PEBA Board met July 8, 2016 and made the decision to approve the PEBA Administrative Services staff recommendation to execute a three year contract with LifeSecure for Voluntary Long Term Care Benefits. The PEBA membership will be required to sign a Letter of Intent if they are interested in accessing the 2016 Voluntary Long Term Care Benefits. Reporting Timeline, IRS Reporting Timeline Penalties, Regulatory Reporting Spreadsheet Technical Requirements: Browser Access, Regulatory Reporting Spreadsheet Enhancements, Regulatory Instruction Booklet, Electronic Individual Submittal Workflow, Individual Transmittal Employee Communication and Regulatory Reporting Spreadsheet Member Field Information. The IRS has recently released the first update to the regulatory reporting requirements for Calendar Year 2015. IEBP will review the programmatic regulator reporting enhancements. This webcast will be the initial overview of the IRS requirements Customized for Employers who report as a Applicable Large Employers (ALE) It is important that employers engage in the initial phases so appropriate planning and staffing can be reviewed for the deadline date. Reporting Timeline, IRS Reporting Timeline Penalties, Regulatory Reporting Spreadsheet Technical Requirements: Browser Access, Regulatory Reporting Spreadsheet Enhancements, Regulatory InstructionBooklet, Electronic Individual Submittal Workflow, Individual Transmittal Employee Communication and Regulatory Reporting Spreadsheet Member Field Information. *High Deductible Plan paired with Health Savings Accounts are under review for first-dollar coverage. § Early last month, (June 2016) U.S. Reps. Diane Black (R-Tenn.) and Earl Blumenauer (D-Ore.)—both of whom sit on the House Ways and Means Committee’s Health Subcommittee—introduced a bill that would change how the federal tax code treats high-deductible health plans that are paired with tax-exempt health savings accounts. Strategic Options for Plan and Employee Out of Pocket Expenses to improve consumer education, treatment compliance and managing the integrity of the healthcare dollar. How to manage the ongoing increasing prescription costs. 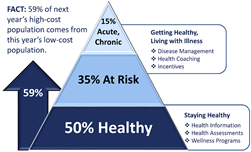 Medication Therapy Management Programs in the 2016 Healthcare Revolution will require pharmacy benefit managers, prescription evidence based management, and cost analysis to be reviewed by employers to re-assess the employer’s cost management philosophical decisions regarding access to prescriptions. Due to increasing prescription costs, the employees out of pocket expense and commitment to treatment engagement and prescription compliance will be triggered by the healthcare dollar.